What is a Serial Embedded (SE) Check Scanner? You may have noticed lately that some of our scanner models now come in several variations – a standard version, a “network-addressable” version, and a “serial embedded” version, often abbreviated with an SE in the model name. Here, we will detail the differences between these various models and, in particular, when and why you would want a Serial Embedded scanner. 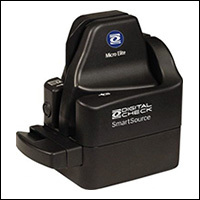 Scanner models currently available in an SE version include SmartSource® Micro Elite™, SmartSource Elite™ 55, and SmartSource Micro Adaptive™, with more future models to come. 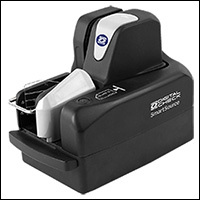 As you will see below, there are certain features that make Serial Embedded scanners simple to set up and easier to use on a variety of operating systems – making them increasingly popular for bank remote deposit customers to experience as close to an out of the box “plug-and-play” installation as possible. Read more about our line of SE scanner models here. What is the difference between SE, non-SE, and “network” scanners? Standard – A “traditional” scanner that only has the processing power needed to operate the mechanical components of the device to create raw image files. 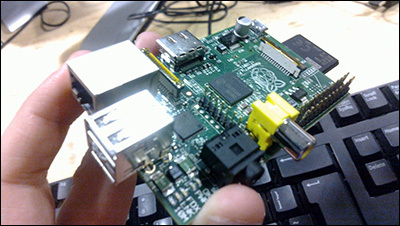 It is driven by a host PC, to which it is tethered via USB cable. The drivers and API reside on the host PC, and the image processing and compression are also handled there. Importantly, the “raw” image is converted into a useable file format by the software on the PC, not the scanner. Serial Embedded (SE) – A scanner with a small built-in processor and memory. It also connects to a host PC via a standard USB cable, but the API processes the image on the device itself, not on the computer, and then exports the compressed image files. Network-addressable – Similar to an SE model, in that it also has its own built-in processor and memory and handles its own API and image compression internally. However, it communicates over an Ethernet connection instead of a USB tethered to a workstation, using a browser-based interface for receiving commands. It can be controlled by any suitable device on a network. 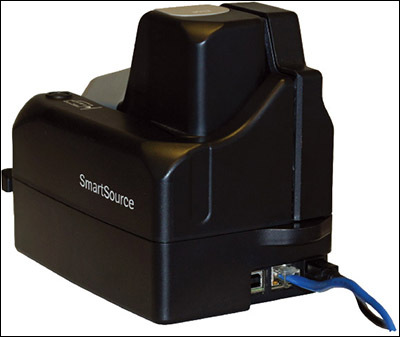 In our SmartSource line of scanners, these products typically have “Expert” in their names; or in the case of TellerScan® and CheXpress® models, use a SecureLink™ attachment. Why would you need an SE or a network-ready model? One major benefit is compatibility – with the API onboard the scanner, it essentially “runs itself” and is largely unaffected by which operating system is on the host machine. For this reason, SE devices have become a popular way to attach scanners to machines running Mac OS , Linux, or in other non-Windows-based environments. In the case of network-addressable devices, this also makes the scanner particularly well-suited for “thin-client” workstations in virtual environments. (We’ll touch on that distinction in a moment) and can even be driven by a tablet or smartphone connected to the network. The other main attraction of an onboard processor is that the basic image handling functions take place before the image file is sent to the host computer or network. When a scanner captures a check, the original uncompressed image is a 300-dpi grayscale file that’s 2-3 MB in size. With a normal scanner, that’s as far as we go – the image is sent to the host PC in that format at full size, and is processed from there into its finished format, which is a bi-tonal black-and-white image that takes up about 10-20 KB of space – literally a hundred times smaller. This might not seem like a big deal, but remember that modern check scanners can reach top speeds of 150 or even 200 documents per minute. That means your scanner could be spitting out half a gigabyte or more of data every minute, which is a lot for the host system or network to handle. If there’s a choke point anywhere along the way that can’t deal with that much data, it could result in a loss of speed, if not an outright error message. On either an SE or a network-addressable scanner, those raw images are compressed to JPG format before they’re sent out over a cable, so the maximum am ount of data being transferred is a much more manageable 3 MB or 4 MB per minute. What’s the difference between a network-addressable and an SE model? Aren’t they basically the same? Among other differences, Serial Embedded and network-addressable devices use separate means of physically connecting to a host PC or workstation. They are similar, in that they both have their own processing power and are self-driving. The main difference is the way in which they communicate with the PC, workstation, or host to which they are attached.Part of this is a hardware difference: SE models use a USB port, while network-addressable devices communicate through an Ethernet port through the network (or possibly an Ethernet-over-USB connection, which has become possible more recently) . But there are some software and firmware differences too. Network-addressable scanners use a browser-based interface – meaning they use a streamlined set of commands that can be delivered through virtually any common web browser on any operating system. This is ideal for networked virtual environments, where the teller’s computer is a “thin-client” that acts as a pass-through to a central server and has little to no software or processing power of its own. Serial Embedded devices use an API that does not communicate through an https:// browser interface. While it is possible to connect an SE scanner to a thin-client PC using USB redirection, an SE model can also be attached to a regular computer. Who should buy an SE model scanner? 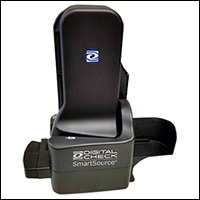 The main buyers of Serial Embedded scanners are going to be banks and credit unions for their remote deposit customers. Individual end users should not buy SE scanners directly (unless they were instructed to do so by a bank certified to use these devices). The reason for this is that – while an SE scanner is easier for an end user to install on supported systems – the bank deposit software must be certified to communicate with it. If you buy an SE scanner and your bank software does not support it, the scanner simply won’t interface with the application. If you have any doubt, always check with your bank first before you buy. For banks and software providers, adding support for Serial Embedded models also tends to be a much simpler process that requires much less programming than the typical “full integration” of new devices. If you are interested in learning more about adding support for one or more of our SE models, please contact your Digital Check representative to get started!